Like diets, the standards for protein bars always seem to be changing. Some are filled with superfoods and fruits (and thus sugar), and others are stuffed with protein but have some artificial sweeteners and flavorings lurking in the ingredients. Some have a whopping 20 grams of fiber (suspicious? ), while others have less than three. Lately, the diet and wellness world has taken a refreshing turn in perspective, with less concern placed on calories and fat and more attention placed on clean, readable ingredients. And unsurprisingly, the (literal) wall of protein bars at our favorite grocery stores have adapted appropriately—mirroring whatever buzzwords and trends are currently en vogue. Yes, it’s great to have options, but it can get confusing. And believe it or not, there’s more to life than spending an hour of your life dissecting labels at the grocery store. To offer some perspective and lend a helping hand, I reached out to Tara Condell, a dietitian at Top Balance Nutrition, and Alissa Rumsey, MS, RD, owner of Alissa Rumsey Nutrition and Wellness and creator of the free guide Three Steps to a Healthier You. As top nutritionists, they both had some sage advice when it comes to picking out a high-quality protein bar. 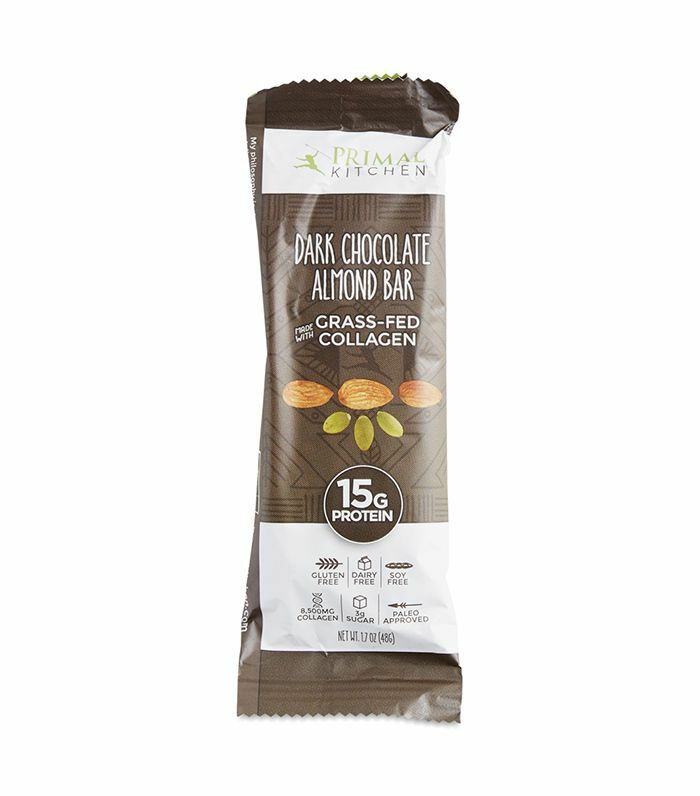 Other recommendations included a short and readable ingredient list (yellow #5, we’re looking at you), no sugar substitutes or alcohols (which can lead to tummy trouble and intense sugar cravings), and the serving size (since some labels only portray nutritional information for half of a bar). With these expert guidelines in mind, I began my research. After all, how hard could it really be to find a handful of (still tasty) protein bars that would meet my new high standards? In short, difficult—very, very difficult. And in a mad rush of apparent masochism, I also took it upon myself to ensure that the first listed ingredient wasn’t a form of sugar, per Condell’s warning: “Read the ingredient list to make sure the sugar is coming from natural sources (usually dates) and the first three ingredients don’t include honey, brown rice, or high fructose corn syrup." I can’t tell you how many times I found the seemingly perfect bar (10 grams of protein! 5 grams of fiber! 200 calories!) only to realize the first ingredient was honey, coconut nectar, or some type of crazy sugar alcohol. However, where there’s a will, there’s a way, and eventually, after lots of sifting and a couple of side-eye stares from employees, I came up with a list that would satisfy. Curious to see which bars made the cut? Keep reading to see our list of the best protein bars for women. We’ve been taught that there’s no such this as perfection, but when it comes to protein bars, this one comes pretty darn close, which is why we’re putting it at the very top of the list. Not only does the mix of cocoa powder and cocoa nibs make the taste incredibly decadent, it also features glow-getters like grass-fed hydrolyzed collagen, coconut oil, almonds, and pumpkin seeds. Oh, and it’s a favorite of celebrity nutritionist Kelly LeVeque. 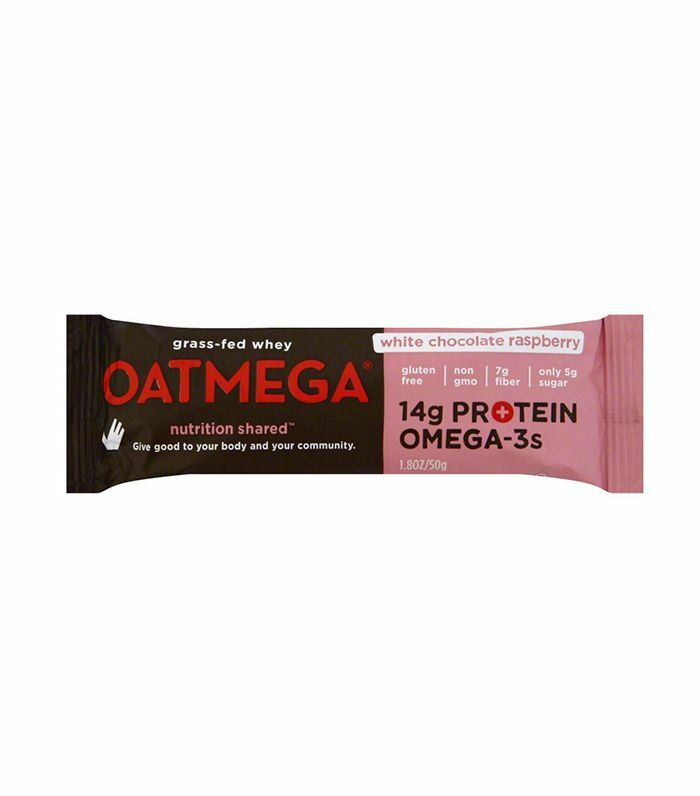 To be completely honest, Oatmega first caught my eye due to the wide range of drool-worthy flavors. (This one tastes like cheesecake, if you’re into that kind of thing.) Convinced the gluten-free bar would be a total sugar bomb, I was surprised when I saw there were only five grams. Also admirable: The first few ingredients are healthy sources of protein and fiber in the form of grass-fed whey and chicory root. It could be said that these nut-filled bars are a customer cult favorite. However, due to some misleading health claims, they’ve fallen victim to a touch of criticism over the years and were even written-up by the FDA. But, in true dark horse fashion, the brand has made some amends to their recipes, and though the majority of the bars were still higher in sugar and lower in protein and fiber than we’d like, this tasty flavor (filled with almonds, macadamias, walnuts, cashew nuts, and Brazil nuts), made the cut. If you’re a fan of sweet and salty, this one’s for you. A favorite of Rumsey, this brand prides itself on a delightfully skimpy ingredient list, and in this case, less is definitely more. 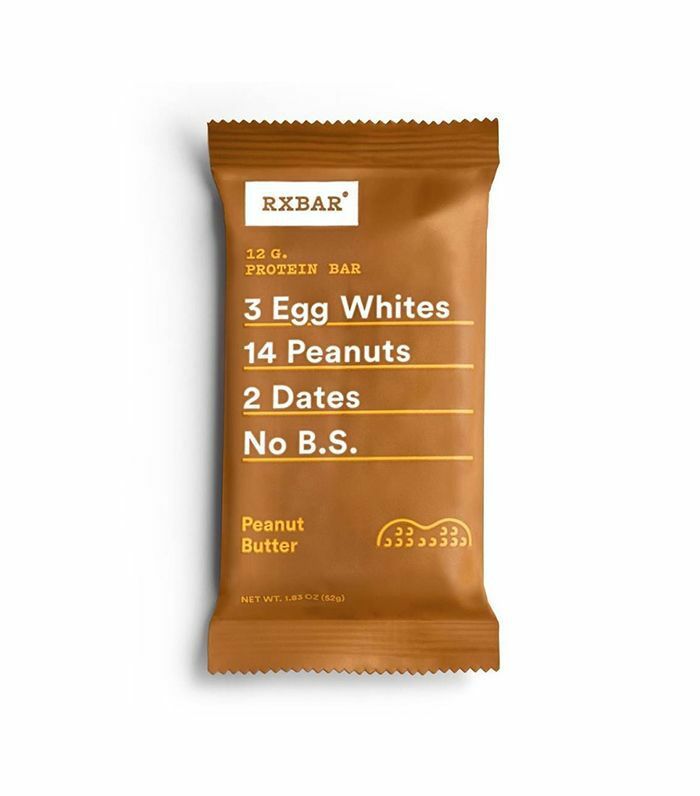 Made with protein-packed egg whites, vitamin-rich peanuts, sea salt, and dates (for that little bit of sweet), it passed our test with flying colors. We’re also not mad at the peanut-buttery taste, which feels reminiscent of recess and PB&Js. Who would have thought that our lust for a mint chip ice cream cone could be solely satisfied with a pre-packaged protein bar? Yet, here we are. Free of antibiotics, hormones, and anything artificial, this plant-based bar is a top-tier pick—especially if you’re vegan and into that organic life. 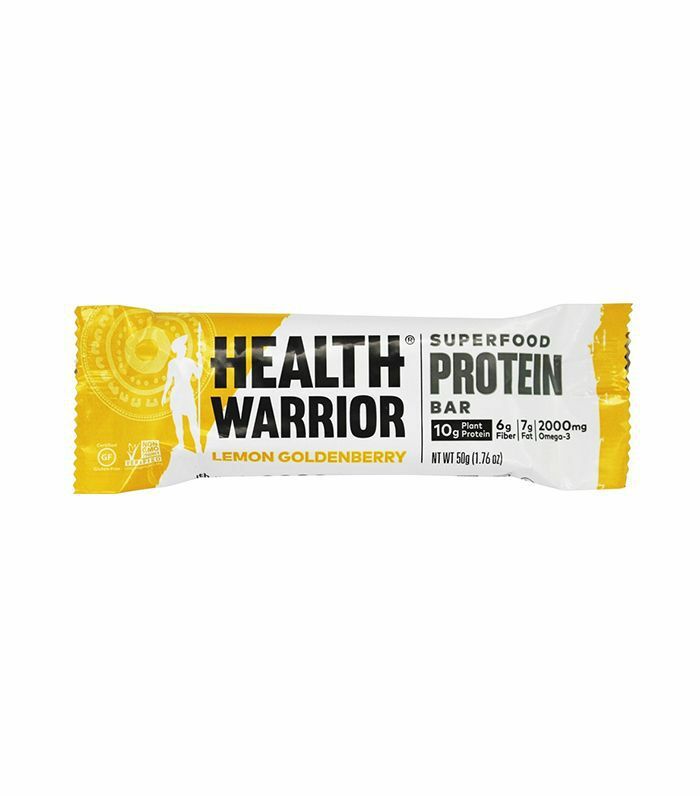 Packed with good-for-you protein and fiber, this vegan, gluten-free bar from Health Warrior satisfies on all fronts. It’s clutch for a sweet tooth thanks to the fresh zing of lemon, but it will also keep you calm and hanger-free due to a high-powered blend of chia, oats, and organic quinoa. 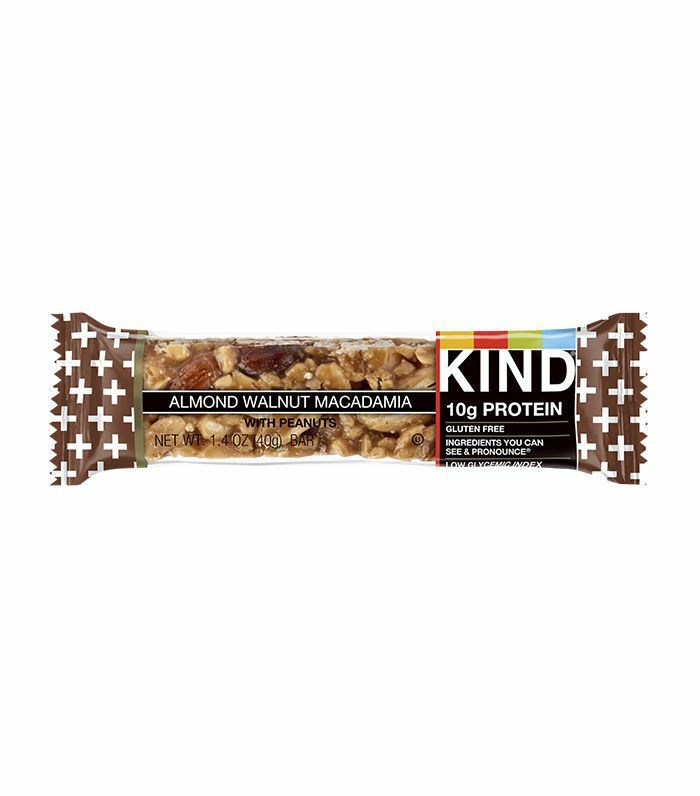 In all transparency, we were slightly surprised that this protein bar made our best-of list. 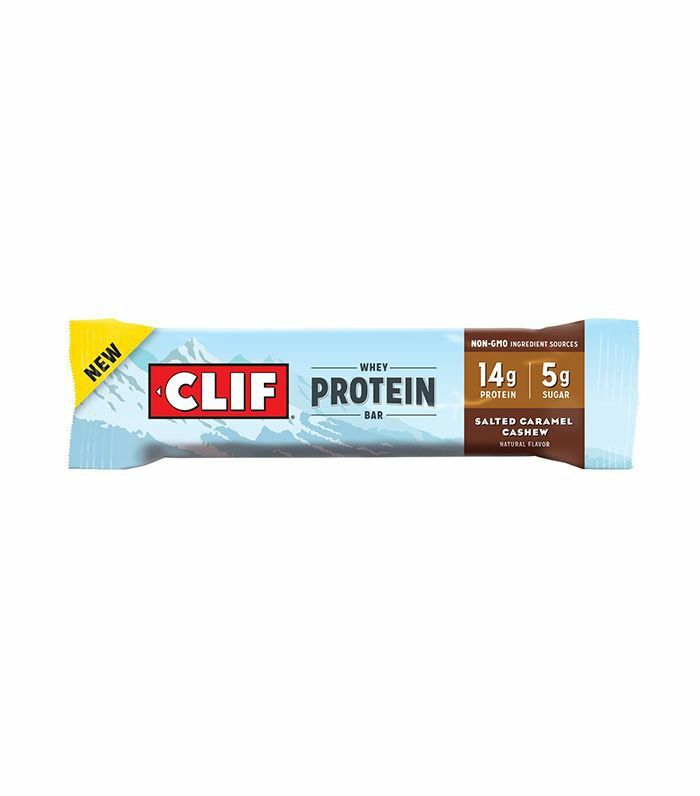 Just like Kind, the Clif brand has fallen under some scrutiny, most notably for its traditional bar’s sky-high sugar content that rivals that of a candy bar (more than 20 grams, to be exact). However, we like to think of ourselves as open-minded, and thus welcomed the whey-infused new kid on the block with open arms. 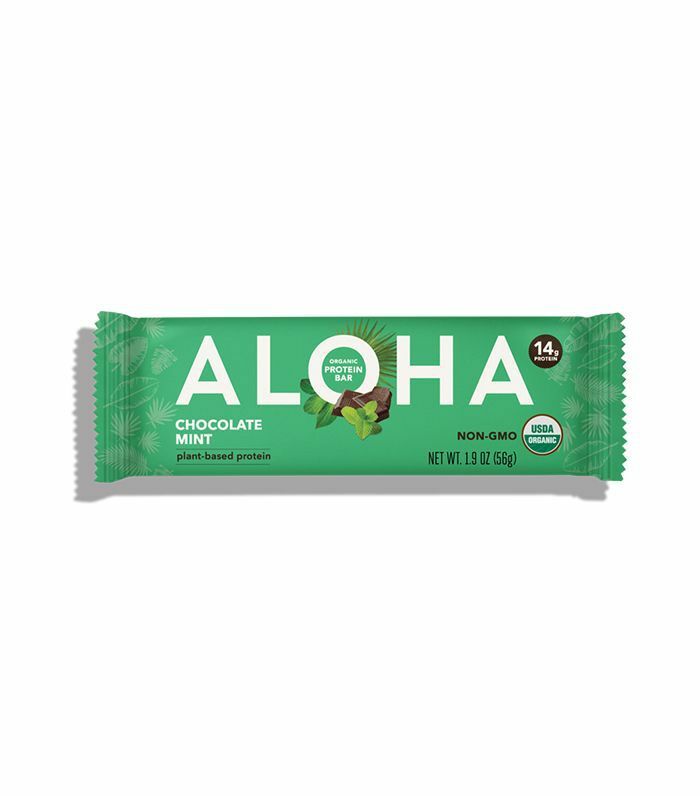 Not only was it one of our favorites taste-wise, the majority of ingredients are organic, and, at only five grams, it has way less sugar than the traditional bar. Next up, nutritionists tell us their favorite probiotics for women.